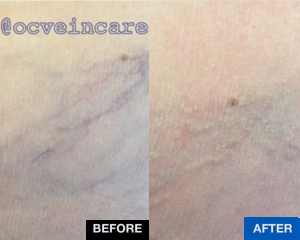 Nose spider veins treated with the VeinGogh. Mild redness seen immediately after treatment is temporary. Patient ongoing sclerotherapy treatment. Staged procedures. Three weeks following ablation (Venefit) treatment. 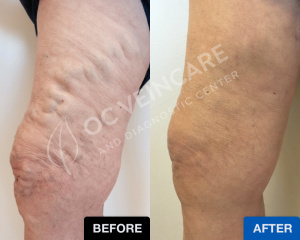 Collapsed calf varicose veins, improved pigmentation of leg. Combination sclerotherapy and ablation procedures. Varicose veins treated with foam sclerotherapy. Treatment ongoing in this picture. Thigh imprint as a result of clothing. 67 year old pleasant gentleman with painful large varicose veins, swelling of the leg and hyper-pigmentation. 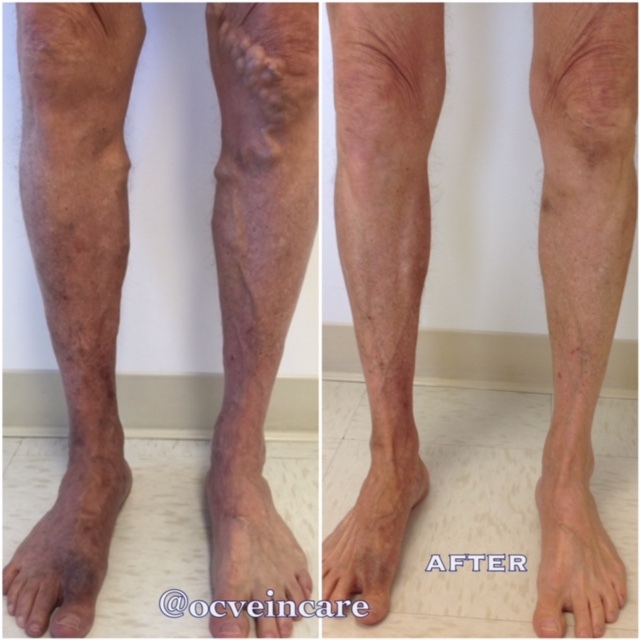 Patient was told he needed a lengthy surgical procedure under general anesthesia to treat his leg veins. He was taking a blood thinner and was given a high risk assessment. We were able to treat non-surgically with two sessions of foam sclerotherapy under ultrasound guidance. Out patient was able to resume immediate daily activities with no downtime. Beautiful result with minimal intervention and expert use of the ultrasound. Patient with large symptomatic varicose veins. 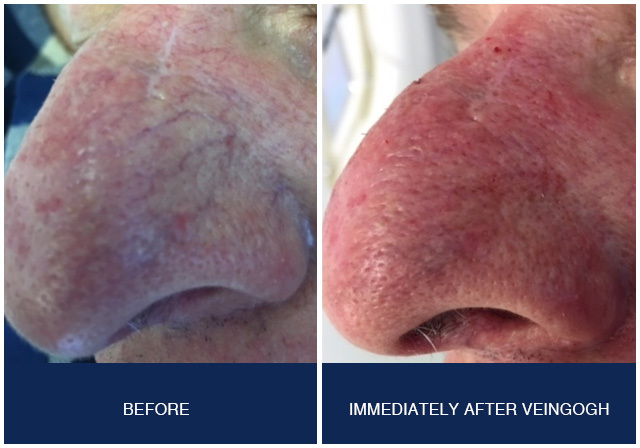 Treated with the Venefit procedure. Decreased size of varicose veins three weeks following procedure.